Meatloaf. Almost paleo-crazy, but I put homemade ketchup on it, which has sugar in it. 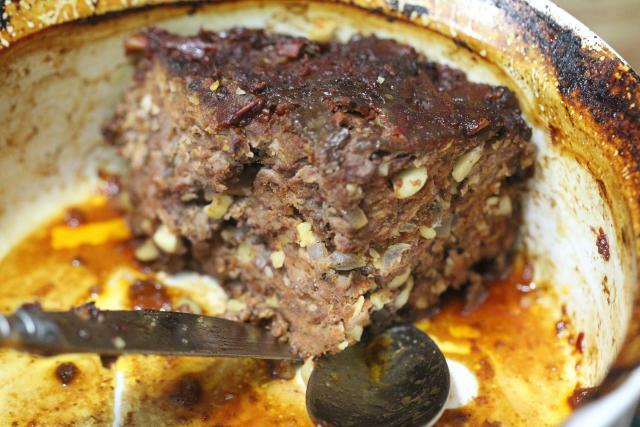 It was made from beef and pork ground together, with ground almonds and diced onions as a filler, and salt, pepper, and paprika as seasonings, and topped with the aforementioned homemade ketchup.